Here comes a handy app for Printed Circuit Board (PCB) designers. 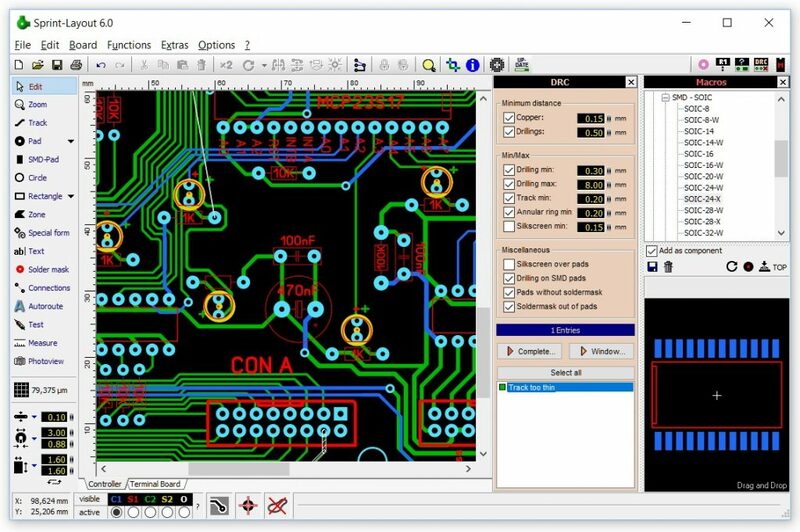 This software is straightforward to use and allows you to view or print PCBs designed with Sprint-Layout (LAY format); Sprint-Layout is a handy app for designing PCBs quickly; it has no limitations or restrictions. This is an app for viewing Sprint-Layout PCB designs; there are no many settings to configure on this app since it is merely meant for viewing files and not editing or creating files; its purpose is straight, and all of its features are geared towards the achievement of its purpose. You will only get to tweak a few intuitive settings; any PCB designer can expressly use this application. Plus, it is a portable app, as such, you don’t necessarily need to install it on all your computers systems if you have more than one; instead, you can simply install the app to your removable drive, and, if you want to use the app on any PC, insert the removable drive where it is installed and launch the program expressly. The Graphical User Interface GUI you’ll see on this app is based on a single window. You will have to import your Sprint-Layout PCB using the file browser function. Sprint-Layout-Viewer is licensed as freeware for PC or laptop with Windows 32 bit and 64 bit operating system. It is in science category and is available to all software users as a free download.